The World Series of Poker has signed a deal to become the official online gaming partner of the ice hockey team the New York Rangers. 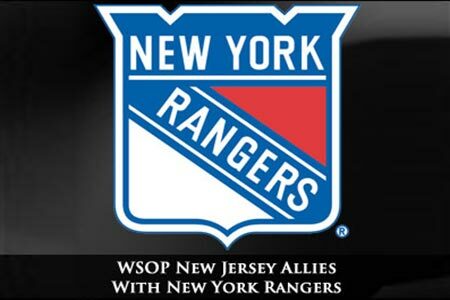 The deal means that Caesars (the owners of the WSOP) will promote the partnership by automatically entering all New Jersey players that make a deposit on the WSOP.com website into a prize draw which gives them the chance to win prizes such as match tickets, team jerseys and a home visit from a former Rangers player. The Rangers and WSOP.com also hosted a viewing party in Hoboken for the March 26th game against the Philadelphia Flyers.